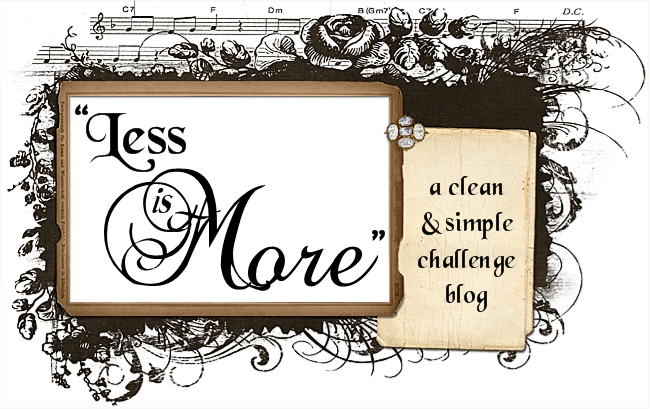 This week the challenge at Less is More´s blog is to use their header as the inspiration! I hope this card will show my gratitude for all these lovelly challenges they give us! Used a sentiment from Technique Tuesday. Thanks to Chrissie and Mandi! "Use 2 circles in your Clean And Simple design"
I´m so honoured and happy! One of my cards and my blog is feature in Papercraft Inspirations magazine in the August issue 102. Here´s their homepage Papercraft Inspiration, where you can find lots of inspiration and free downloads! I made a card this morning using this beautiful couple from their free downloads! Here´re two cards I made for Splicoaststamper´s challenges this week! I really love to be challenged! :) I think they help developing your thoughts! Used sentiment stamps from Technique Tuesday. There´s a new Challenge at Blockhead Paper Arts, "Stamping on Fabric". I used the sweet mallard from this set, Frogs and Birds and the cattails from this, Inspired by Nature. 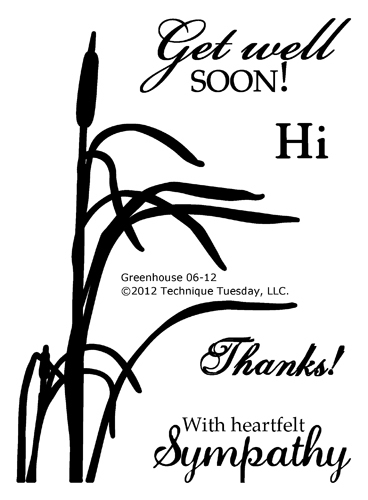 Now the Greenhouse Society June stamps are shipping from Technique Tuesday! Here are some more cards done with month stamp! You can see the DT´s creations on TT blog! Det är en trevlig midsommarcrop på Svensk Scrapbooking denna helg med många utmaningar! Här här mina bidrag till tävlingarna! The challenge on Less is More´s blog this week is a Recipe,Paper Piecing! I used this Feather from Blockheads Paper Arts, love it! The challenge at CAS-ual Fridays´ blog this week is to create a card in PINK! the beautiful sentiment from This Technique Tuesday set Favorite Memories ! den söta jordgubben, Strawberry, från Alota Rubberstamps! Rävsvans/Foxtail från Blockheads Paper Art. 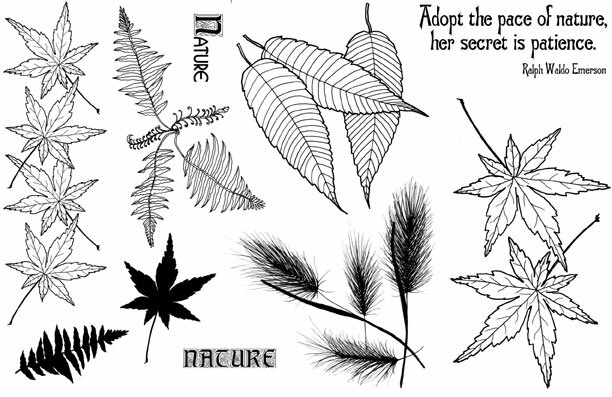 Each month, Technique Tuesday release a new Greenhouse Society stamp set featuring the best botanicals of the season. You can soon see more of example from the DT on their blog. Varje månad presenterar Technique Tuesday en botanisk stämpel i en serie, Greenhouse Society, som du kan köpa styckevis (begränsad upplaga) eller gå med i klubben och få alla! Here´s one for June! Added black Flower Soft on the cattail. Jag har använt denna Gladiolus stämpel från Alota Rubberstamps! Here´s mine, a very simple one with the QK Feather die. Emossed a part of the feather and added halfpearls! As you can see it´s a shiny day here and I´ve to work just 3 days before summer holidays!!!!! "Create a Clean And Simple project using acetate or vellum"
I embossed vellum and used a Leaf die. The sentiment is from a Technique Tuesday set "Loving Words"
Imorgon tar mina underbara SpMITK 3b-are studenten...kommer att sakna dem enormt men förstår att de längtar ut i livet och framtiden! Det har varit härliga år! En ynnest att få jobba ihop med så härliga unga människor! The challenge this week on Less is More´s blog is to create a ONE LAYER CARD and USE A FLOURISH! I used this one from Blockhead Paper Art and added small buttons and a punched Butterfly. Känns bra med en ledig dag! :) Betygen till årets studenter är satta så nu återstår årskurs 1 och 2! Var på fotokurs igår kväll i Umeå för att förstå min nya systemkamera..lite klokare men det behövs mycket träning!! Två kort i grönt och gult. Textstämplar från Technique Tuesday! I´ve played with my Encaustic wax and used it for the background. Added some punched leaves and flowers. Sentiment from Technique Tuesday. 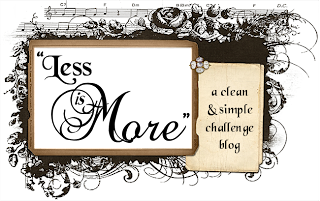 It´s my turn to hostess the challenge on Alota Rubberstamp´s blog! Hope you want to make a card and have the chance to win a gift certificate 15$ from Alota Rubberstamps!